Looking for a smarter way to validate investments in your wellness program? Go beyond traditional return on investment (ROI) metrics — way beyond. That’s the key takeaway from a pair of recent reports that show how employee wellness initiatives can drive significant improvements in worker productivity, absenteeism, and job satisfaction. The latest data make a strong case for rethinking how wellness programs should be measured and justified. Instead of relying on ROI numbers, more companies are taking a look at value on investment (VOI) instead. By taking a VOI approach, benefits leaders can argue that measurements of health and wellness programs should include key metrics such as engagement, productivity, business performance, and retention. According to the International Foundation of Employee Benefit Plans’ Workplace Wellness 2017 Survey Report, most employers don’t implement wellness programs primarily to cut or control health-related costs. Rather, 75 percent of surveyed companies said they’re looking to improve the overall health and well-being of employees. “Employers are realizing that wellness is not just about cutting health care costs, because wellness is not only about physical health," said the foundation’s Julie Stich in a statement. "Embracing the broad definition of wellness has led to a tremendous impact on organizational health and worker productivity and happiness." Among employers measuring their wellness programs, more than half reported declines in absenteeism, 66 percent reported increased productivity, and 67 percent said employees are more satisfied. Of course, many benefit leaders consider the connection between healthier employees and increased productivity or lower medical costs to be an obvious one. But it’s been tricky to prove without hard data. Now for the first time, researchers say they’ve been able to establish a direct “causal link” between worker productivity and improvements in employee health as the result of a company-sponsored wellness program. The study of workers at several commercial laundry plants in the Midwest (full PDF here) quantifies what many benefit leaders have long argued: Wellness programs lead to healthier and happier employees, which in turn, lead to increased productivity for the companies that implement these programs. Researchers describe the productivity gains as “dramatic” — about equal to an additional day of work per month for each worker. What’s more, the wellness program more than paid for itself. According to the study’s authors, the cost of the program came in at $32,640, and the estimated total productivity benefit was $57,558 — a return on investment of 76.3 percent. Put it another way, for every $100 spent on its wellness program, the company saw $176 in output from employees. The potentially landmark findings give benefit leaders a hefty piece of ammunition just as many companies are looking to consider next year’s budgets. Happily, the research is consistent with other studies that suggest wellness programs are worthwhile expenditures. For example, a widely cited meta-analysis found that each dollar spent on wellness programs saves companies $3.27 in health care expenses and $2.73 in absenteeism costs. Similarly, Johnson & Johnson has estimated that its wellness programs have saved the firm $2.71 for every dollar spent. About 85 percent of employees participated in the program. The researchers found that, as a group, workers who joined the program increased their productivity by roughly 5 percent. More dramatically, sick employees who improved their health also improved their productivity by 11 percent. Similarly, healthy workers who improved their health increased productivity by 10 percent. Amazingly, even healthy employees whose health did not improve during the program showed increased productivity levels averaging 6 percent. “Our research suggests that corporate wellness plans can boost employee satisfaction by offering a tangible benefit that empowers them to take care of their health in a way that’s integrated into their busy lives. 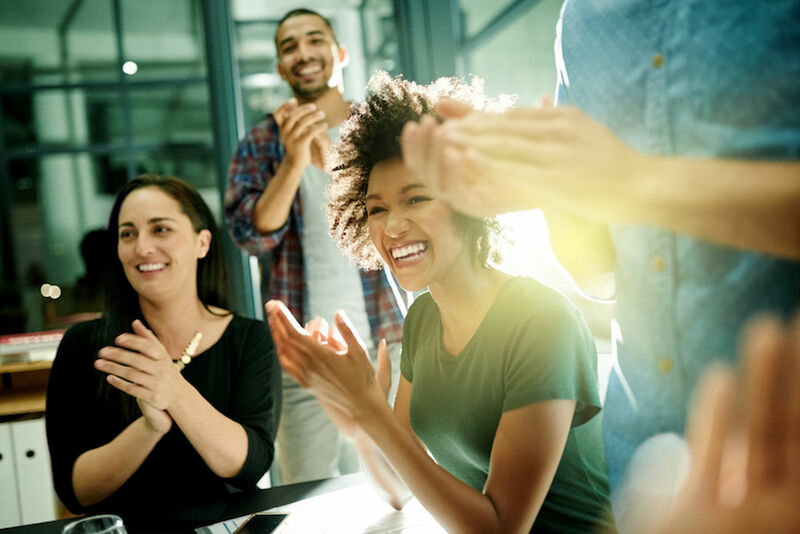 The result is healthier and happier employees who are not only less expensive and less absent, but also more productive,” explained the study’s first author, Timothy Gubler, an assistant professor of management in UC Riverside’s School of Business, in a statement. Benefit leaders everywhere can thank a group of laundry workers for this impressive data. Not only does this study and others along the same lines make it easier to get senior leadership buy-in for health and wellness initiatives, sharing this data could also persuade employees to engage more with the health programs that you already make available. After all, we all want to be happier, healthier, and more productive at work. Eric Mann heads up marketing efforts for our key partners. He has more than 20 years of technology and health care marketing experience, leading browser marketing for Netscape and product marketing for Oracle Health Science.